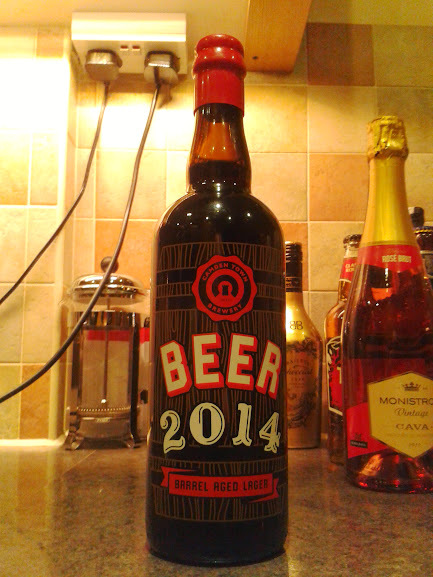 At the time of writing boxing day isn’t yet over and I’ve already had some great beers including Adnams Ghost Ship and a 16/02 Red Ale Amarillo Citra Simcoe by Brew By Numbers. 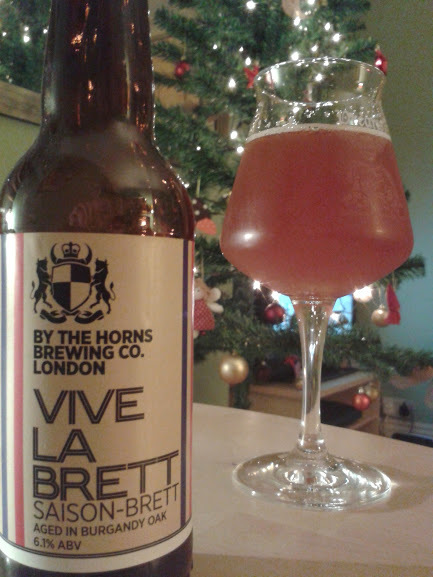 But with a burgeoning appreciation for saisons I decided to go for By The Horns Vive la Brett, a Saison-Brett aged in Burgundy Oak. Brett. Brit? No Brett. Brit? This entry was posted in Beers and tagged #12BeersofXmas, By The Horns, Camden Town Brewery, Craft Beer, Flight of the Conchords. Bookmark the permalink.